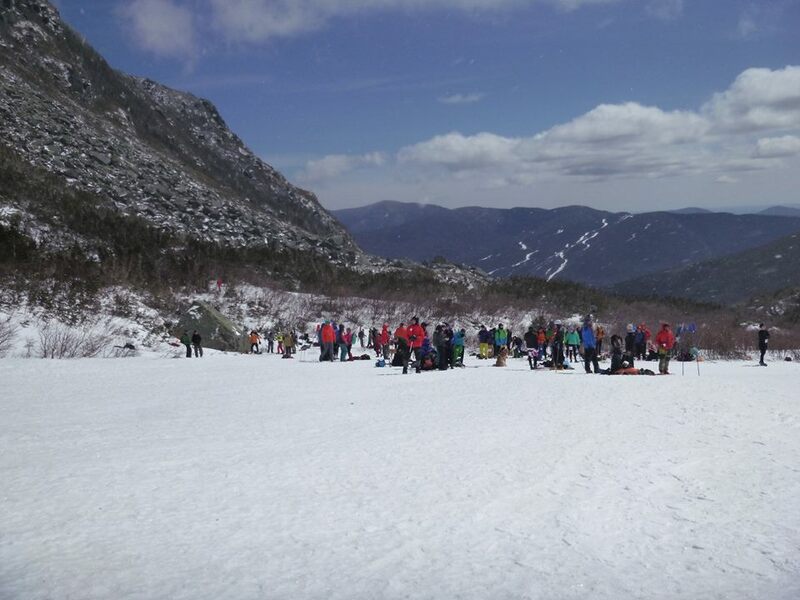 April 9, 2016 The annual pentathlon took place in Tuckerman Ravine on Mount Washington. 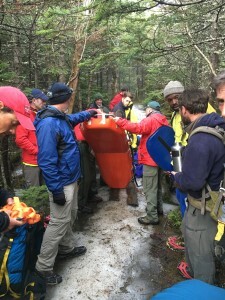 Every year the Friends of Tuckerman Ravine put on this pentathlon and ask volunteers to help out. 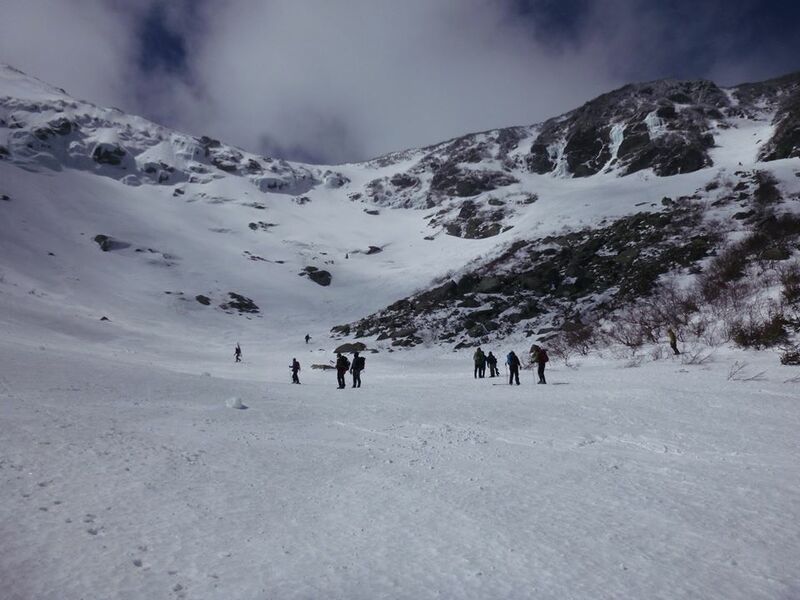 The skiing portion of it is completed in Tuckerman Ravine. This year with the lack of snow totals, the course this year was a dual slalom. 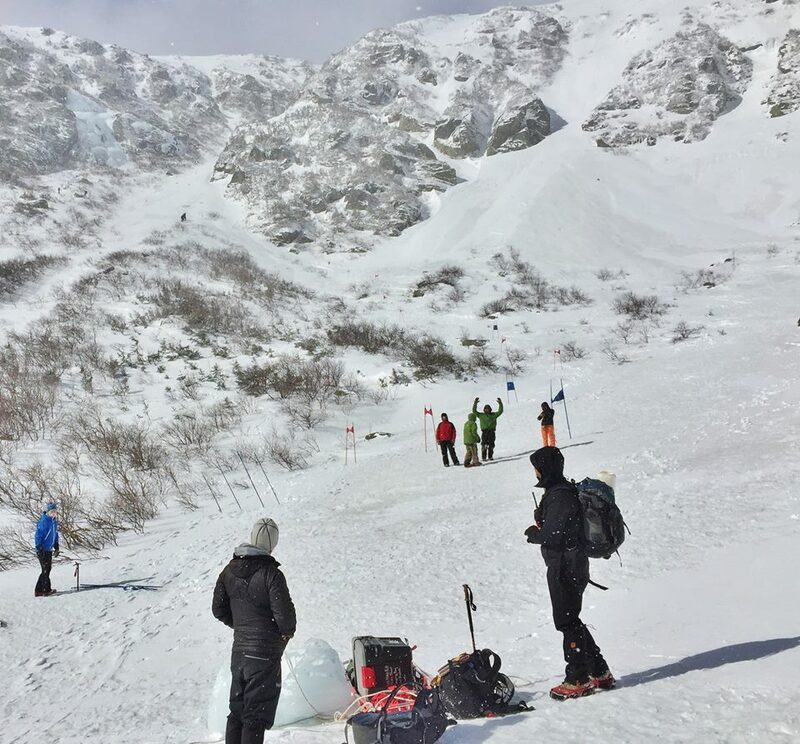 Hike to the base of left Gulley; ski 4 gates; Traverse under the chute; ski red course; hike back up to base of left gulley; ski same 4 gates; Traverse to blue course and ski to finish in the floor of the Ravine! 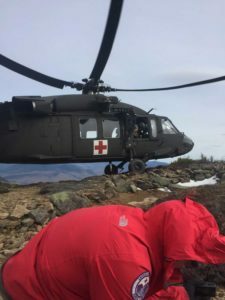 Every year they call in as many volunteer resources as they can, with AVSAR being one of them. We had a few team members there during the race and reported no injuries. For more information on the Inferno you can check out The Friends of Tuckerman page.